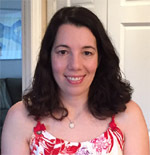 In search of any easy dinner that is sure to please? This Baked Sausages and Potatoes recipe is full of delicious, savory flavor! Italian sausages and potato pieces combine for a delicious meal. 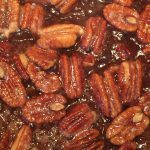 I love how easy and tasty this recipe is and I am sure that you will, too! A great main dish, this Baked Sausage and Potatoes recipe will be a go-to easy dinner you will want to enjoy every week. This recipe could not be any easier to prepare. With just a pound of sausage, six potatoes, and some seasoning, you will be on your way to enjoying this flavorful main dish. Even though it takes forty-five minutes, there is only five minutes of hands-on prep time to creating this dish. I love when a meal is this easy and delicious! 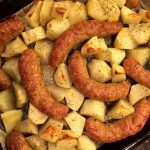 Baked Sausages and Potatoes has become a part of the regular dinner rotation at my house thanks to it’s easy preparation! To make this recipe for Baked Sausage and Potatoes, you begin by preheating your oven to 425 degrees and lining a baking sheet with parchment. The parchment makes for extra easy clean-up! Next, peel your potatoes and cut them into one inch pieces. Put your potatoes on a baking sheet and sprinkle with salt, pepper, and Italian seasoning. 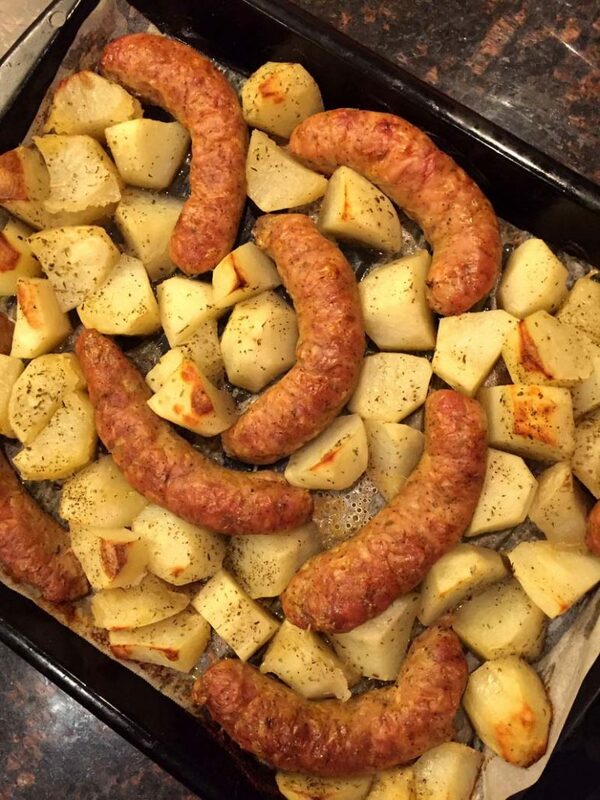 Put your sausages on the baking sheet so each sausage piece is surrounded by potatoes. Pop your sheet in the oven and bake for forty minutes and your dinner is ready to enjoy. The clean-up is just as easy as the preparation! While this delicious dinner, you have homemade in no time. 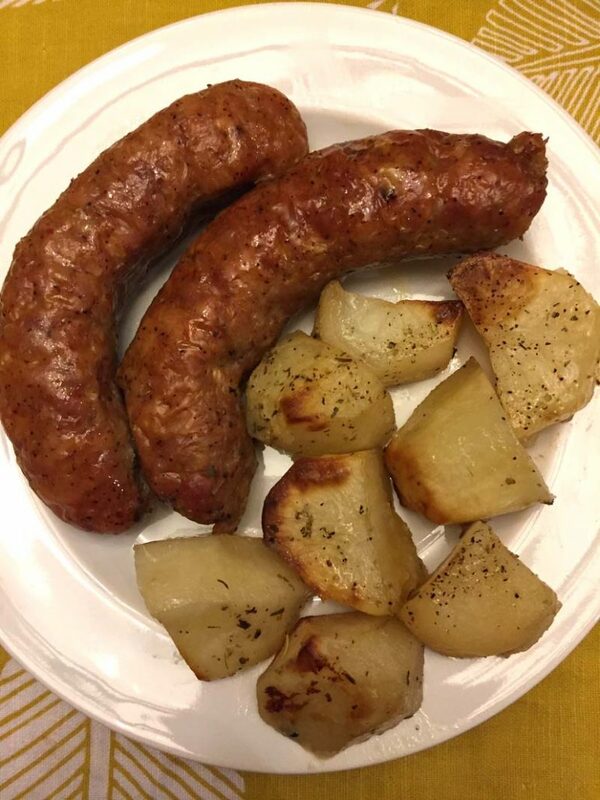 This Baked Sausage and Potatoes recipe is gluten-free and paleo. It is perfect for nights when you want to enjoy a filling, warm meal, but don’t have the time or energy for a lot of hands-on preparation. 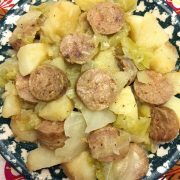 The sausage and potatoes in this recipe are so flavorful and yummy. I just love this recipe as a main dish for dinner. This dinner will keep you full, leave you satisfied, and it is easily made in your own kitchen. 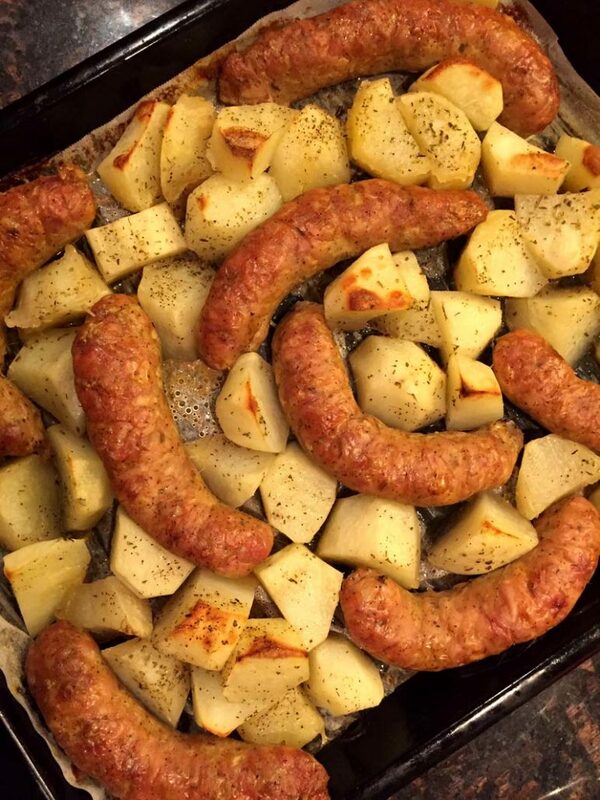 If you’re after a delicious dinner ready in no time, look no further than this tasty Baked Sausages and Potatoes recipe. You’ll enjoy the delicious flavors and hearty tastes this recipe brings together! I love to toss it together on those nights when I just want a recipe that can go in the oven and walk away from. When I come back, it is ready to enjoy! One-Pot Sausage Pasta – ready in 20 minutes, tastes amazing and only one pot to wash! Sausages, pasta and sauce cook together in one pot! 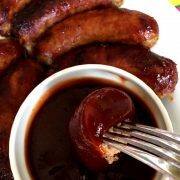 Glazed Sausage Appetizer – brushed with homemade apricot-mustard glaze, this sausage looks so impressive! Easy Baked Tacos – this is a best method to make tacos for a crowd! 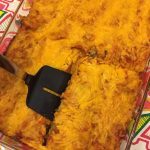 Assemble them in a casserole dish and bake! 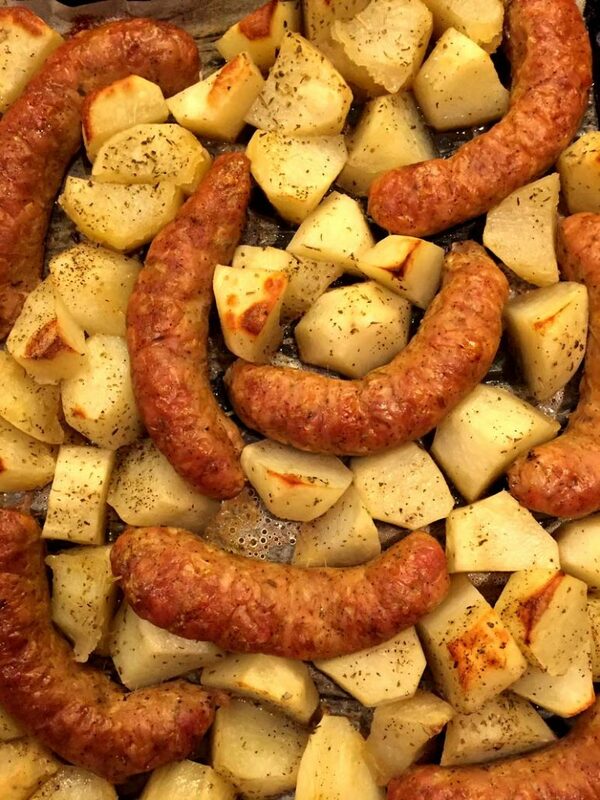 Baked sausage and potatoes make the easiest dinner ever! 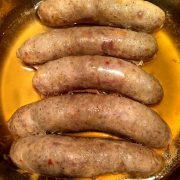 Just put Italian sausages and potato pieces on a baking sheet and the oven will cook them together to perfection! 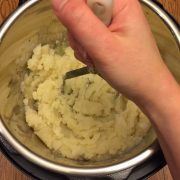 Peel the potatoes and cut into 1-inch pieces. Put the potatoes on a baking sheet and sprinkle with salt, pepper and Italian seasoning. 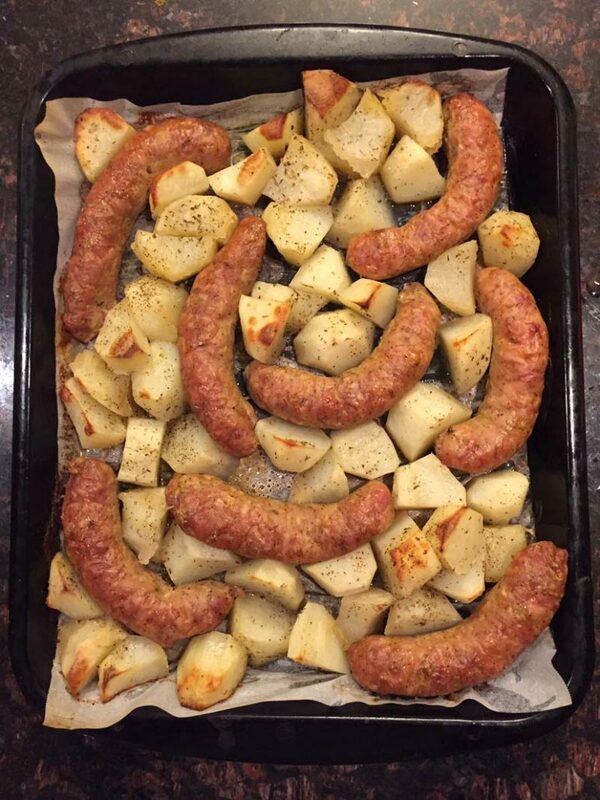 Put the sausages on a baking sheet, so each sausage is surrounded with potatoes. Put sausages and potatoes in the oven and bake for 40 minutes. 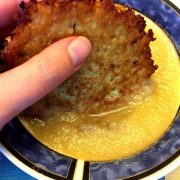 Homemade Potato Pancakes Recipe - Authentic Jewish Latkes, Best Ever! This is one of my favorite recipes. 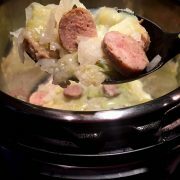 Quick, easy and delish!